Dilli Restaurant is our attempt to share the finest of Indian cuisine with the connoisseurs of fine food in Saudi Arabia. It took us almost a year to select and finalize the menu that you are about to read. We went the length and breadth of India and selected the finest of Grills, Curries, Biryani and Bread. We truly hope that you enjoy the food that we serve and our hospitality. Indian food lovers in Riyadh have a new and authentic address! 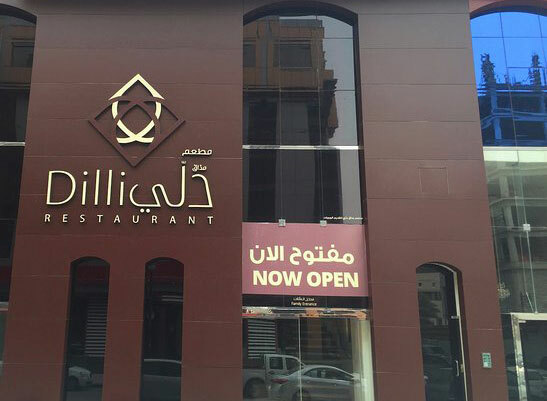 Dilli Restaurant serves the most authentic North Indian Food in Riyadh. Be it the original Dal Makhni or Butter Chicken or Tandoori Roti or Dum cooked Biryani or Dum Cooked Chops or the legendary Dum Ki Raan… We do them the perfect Dilli way. In addition to the original flavours from Dilli, our Master Chef Deepak Anthwal will mesmerize your taste buds with his signature dishes like Murgh Angar, Jhingha Dum Anari and Tandoori Aaloo etc… We kept our menu very limited so that we could focus our efforts on delivering best tasting food every time you visit us. “My favourite restaurant in Riyadh. They have some delicious dishes in their menu and I love their service. CEO is the most humble and positive person I have seen in this industry. I can’t wait to try their updated menu. :"